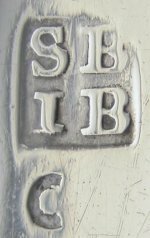 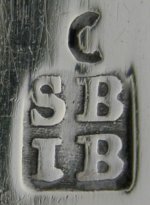 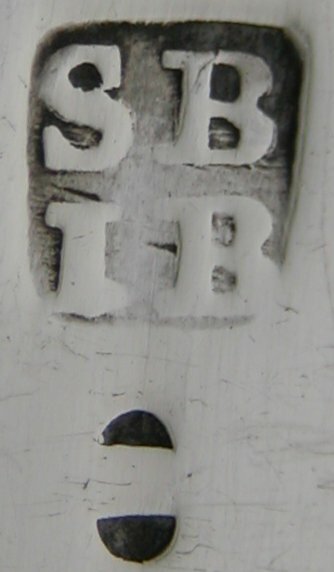 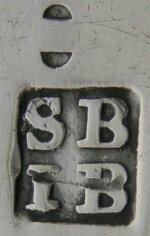 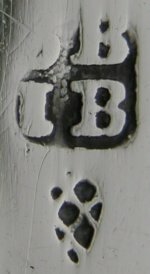 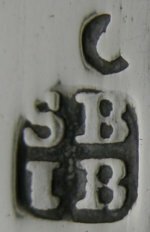 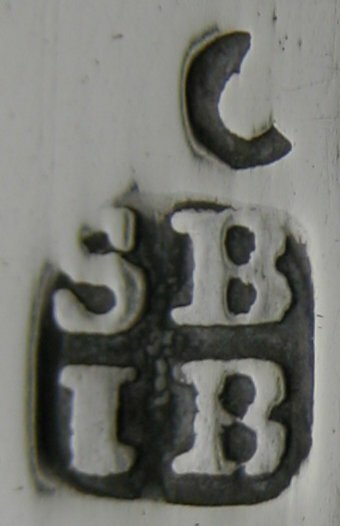 Sarah & John William Blake registered a number of maker's marks. 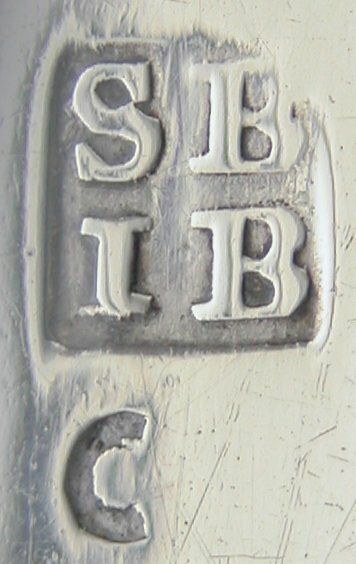 All their maker's marks have a journeyman’s mark, although the mark is not always the same. Some of their marks have a pellet between and some do not.